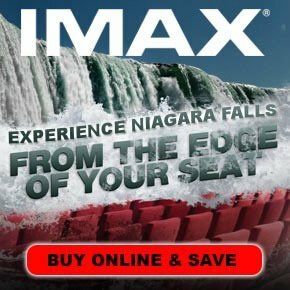 5685 Falls Avenue, Niagara Falls, Canada. 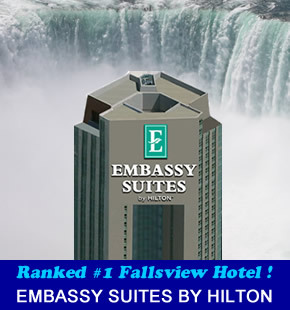 The Crowne Plaza Niagara Falls is Niagara’s most iconic hotel. Built in the late 1920’s the Crowne Plaza is one of the most majestic and celebrated hotels in Ontario Canada. The hotel has a rich history as the first four star hotel to dot the Niagara Falls skyline, and today continues its legacy of service and elegance. The Crowne has played host to both Royalty and Hollywood Legends including Marilyn Monroe while in Niagara Falls filming the movie “Niagara”. 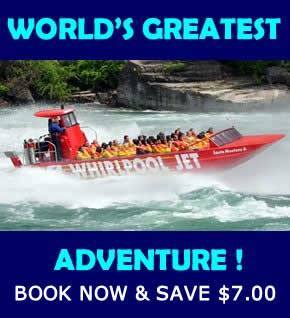 This historic property is linked via an indoor walkway to the Fallsview Indoor Waterpark and Casino Niagara. 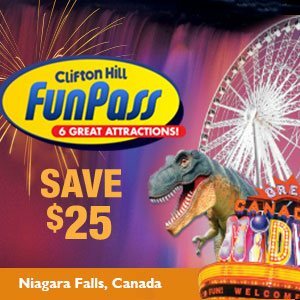 The entertainment venues of Clifton Hill are positioned two blocks away. This property’s lobby displays a crystal chandelier, a player piano and a blend of contemporary and Old World décor. A sweeping staircase descends to the octagonal Falls Avenue entrance. A glimpse of Niagara Falls is visible from the lobby reception desk. 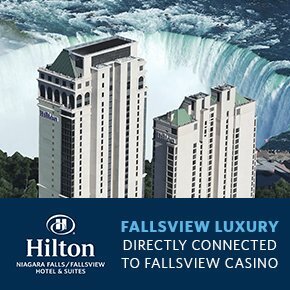 The hotel includes Prime Steakhouse featuring premium steaks, exceptional service, and stunning views of Niagara Falls. A Starbucks coffee shop is located off the hotel’s Falls Avenue entrance. A computer room offers high-speed Internet access, and wireless Internet access is available throughout the hotel. Leisure diversions include a fitness room, an indoor pool, and a shopping arcade. The hotel’s spa offers aromatherapy, facial, and hydrotherapy treatments, manicures and pedicures, massages. 234 guestrooms offer traditional non-smoking guestrooms appointed with antique-style cherry-wood furnishings and marble bathroom floors. 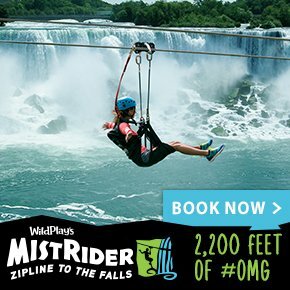 Select accommodations afford Niagara Falls views. Rooms are equipped with 32-inch flat panel TV, wired and wireless Internet access, and cordless phone. Guestrooms feature deep-sleeper beds draped with duvets and topped with six pillows. Coffeemakers are installed in all accommodations. Refrigerators and turndown service are available on request. 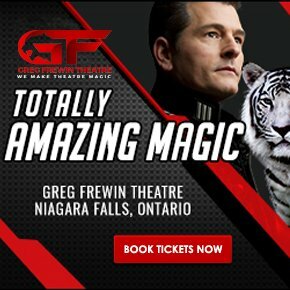 For the most up to date information please visit the Crowne Plaza Niagara Falls.